Send a bouquet of sunshine with our pretty two-tone basket. 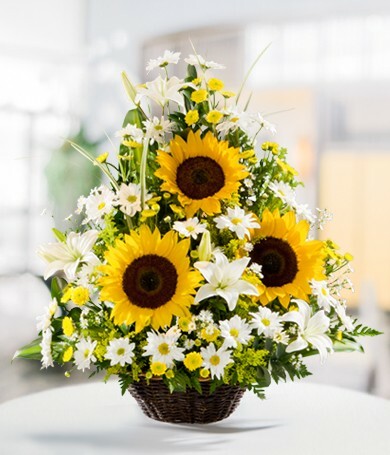 We mix three bright sunflowers, ten white daisies and three white lilies into a stunning arrangement, set off by greenery and goldenrod. 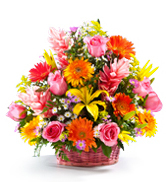 Imagine how perfect our assorted basket would look as the centerpiece of a table! 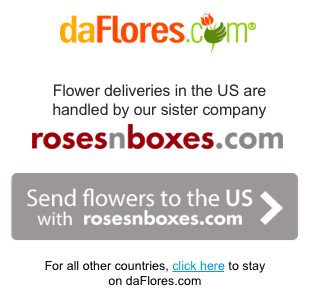 Send it today to assure the brightest of smiles.